February 18th 2016. A Q & A with Francisco Ramon Longoria Pacheca, a participant in the recent CAC training in Nogales, Mexico with FESAC. 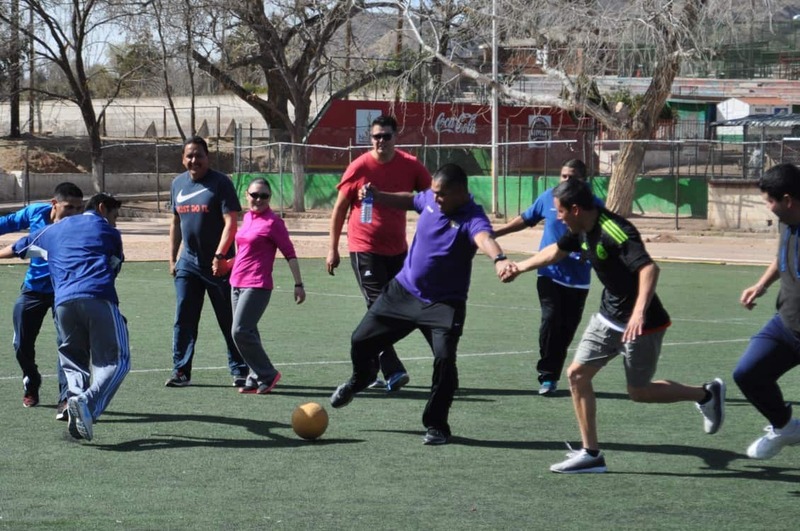 Q: How did you come to hear about the Coaches Across Continents training in Nogales? Francisco: I’m around this area a lot. I play basketball on the courts just behind the soccer field; I coach over there every now and then too. I don’t play soccer, but I saw you guys out here and thought the course looked interesting. Other coaches from FESAC encouraged me to join so I did. Q: You said you do some basketball coaching, who do you coach and for what team? Francisco: Well, I’m not a coach in the traditional sense. Basketball is my passion, so if I see a game going on at one of the courts I join in and play a bit while giving pointers and tips to the kids. Here in Mexico we have a lot of talented young basketball players, but they go without good coaching for so long that they develop bad habits. Q: Have you found this training useful as a basketball coach? Francisco: This training has helped me be more aware of myself and it’s certainly helped me become a better sportsman and person. A lot of the games we played could easily work as basketball games too. Q: Which game would you say is your favorite? Francisco: All the child rights games! If I had to choose, I think I would go with the [Right to] Information game. To be successful your team has to work together, focus and pay close attention. The game is a fun way to develop intelligence. Q: What about the child rights games did you enjoy? Why is this an important issue for Mexico? Francisco: I think one of the most important things we talked about this week was the creation of safe spaces for children. Without these how can we expect children to develop into the adults they want to be? Adults also need to be conscious about giving children private space, as this also helps with their development. I really like the idea of people and families working together and coexisting together. When this happens we are able to use everyone’s skills to solve our own problems. These lessons are not just important for Mexico, but for the whole world. Q: Thanks for your time Francisco, do you have any other thoughts on your week with Coaches Across Continents? Francisco: Thank you for this opportunity, this has been so much fun. Sports is life, man. Next: CAC’s International Women’s Day Resource Now Available!